Jennifer has collected experiences as a professional dancer, choreographer, modern/contemporary dance, improvisation and yoga teacher, partner and mother. After her graduation from the University of the Arts in Philadelphia, Jennifer moved to Europe where she embarked on a career as a freelance artist with various choreographers and companies. Teaching soon became her passion, and since she has offered dance, improvisation and yoga at schools, studios, festivals and companies throughout Europe, USA and Asia. 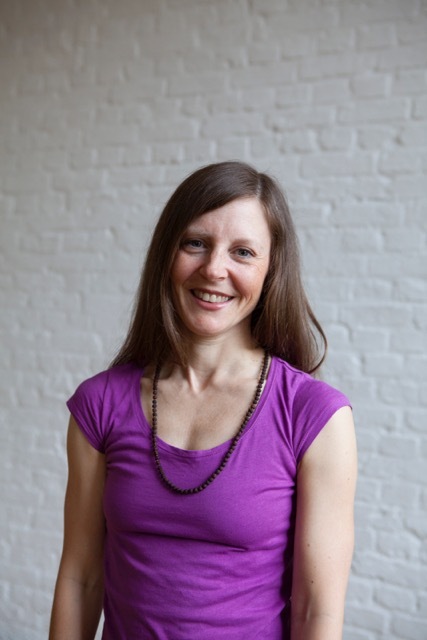 She received her first yoga certification through Iyengar teacher James E. Bryan in 2003, and continued her education with Ananda Leone (founder of Shiva Shakti Yoga) with whom she became a member of the Berufsverband der Yogalehrenden Deutschland (BDY) and the European Yoga Union (EYU) in 2010. She is certified to lead the Group Motion Workshop, an improvisational evening focused on the universal language of movement and collective healing, and is currently furthering her education in the practice and study of Yin Yoga. Jennifer greatly enjoys sharing and leading others on a journey towards the Self. On the physical level, Core Yoga focuses on the essential alignment principles of yoga and explores how our center, our core, supports the asanas and transitions in yoga. This practice is slow and intense as we wake up physical strength and stability, mental understanding and clarity, and a feeling of well being and ease while in flow. This strong focus grows concentration, presence and an understanding of what it means to be in the core of yoga. Good for beginners as well as experienced yogis who want to fine tune their practice. We begin this compact 75 min. morning class by focusing directly on our breath. This impulse becomes a source of rhythm that moves us in and out of the yogic postures in an organic and fluid way. A gentle warm up evolves into dynamic sequences that wake up strength, stamina, balance and flexibility within a concious flow of movement. Moments of stillness emerge as our presence intensifies, re-entering the flow as a meditation. Every class becomes a gateway to a more mindful day. Shiva Shakti Yoga is an energetic and joyful approach to practicing yoga that celebrates the fullness of life, and all its aspects, through the wonder and experience of our breath and our physicality. This yoga is tantric in the sense that the yogi is considered a microcosm within the network of a divine macrocosm. The body becomes a portal to this divine source when opened, where one can discover within themselves sources of fresh energy, inspiration and interconnectedness with nature and spirit. Shiva Shakti Yoga embraces polarities. The male aspect of creation is represented by Shiva: the muscular, mental and rational. Shakti, the female aspect, is expansive, intuitive and organic. The practice continually pulls our attention to these forces within us, fusing them, balancing them in a conscious and active way. Every class is well rounded, including dynamic vinyasa sequences, clear alignment principles, standing and seated asanas, pranayma and a short meditation. Jennifer enjoys sharing and leading a journey from body to spirit.